Warmer weather means sandals, which means your (probably gross from being in boots all winter) feet are about to be on display for all to see. 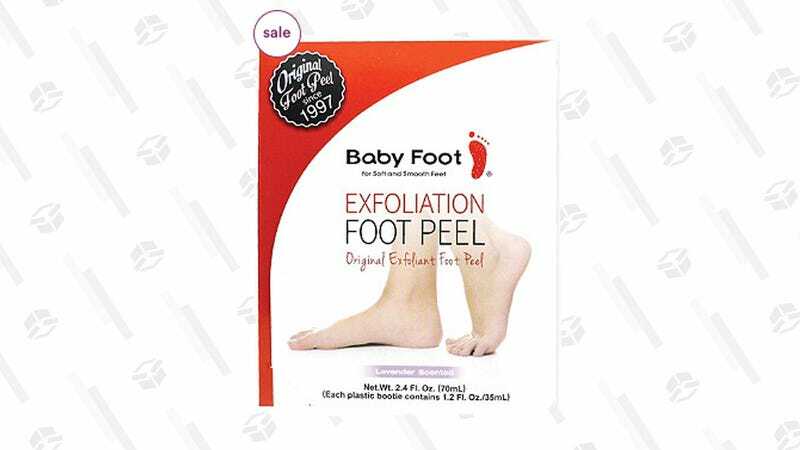 So soften those things up with Baby Foot, the OG foot peel that put your gag reflex to the test when it went viral a few years back. Right now, this disgusting-yet-satisfying product is on sale for $20, that’s $5 off its usual price. But really, can you put a price on making your feet shed dead skin like a snake over the course of several days? I think no.